Caritas Music Publishing has the exclusive sole distribution rights for Sheet Music published by Eschenbach Editions. Visit the Trade section here for further details. 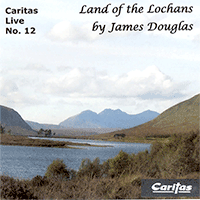 Caritas Music Publishing is also the sole distributor of Caritas Records, with 16 CDs by Composer James Douglas , and a multi-media DVD. These products are for sale online here. Separately Caritas Music Publishing also distributes Classical CDs to Trade Customers for many Classical Record labels. Interested in opening a Trade Account, then please email: caritas@caritas-music.co.uk , call 01854 612236 for further details or visit the Trade section for full details and for current terms and conditions.